Escape to the picture-perfect Cotswolds and unwind from the stresses of everyday life with a dose of countryside bliss. Stay in this luxurious 19th century manor house, a Relais & Châteaux property and member of Pride of Britain that has recieved a plethora of high praise. Our members will stay in a Junior Suite and will enjoy a delicious 2-course meal at the recently refurbished, relaxed and stylish Grey's Brasserie, serving comforting British classics and great wines. 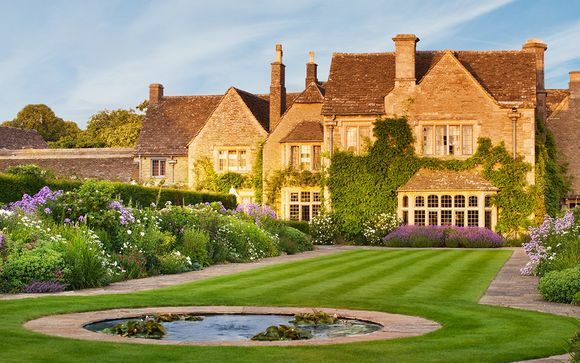 Welcome to the picture-perfect Cotswolds, where Whatley Manor is located and set within 12 acres of beautiful English country gardens with 26 distinct areas. 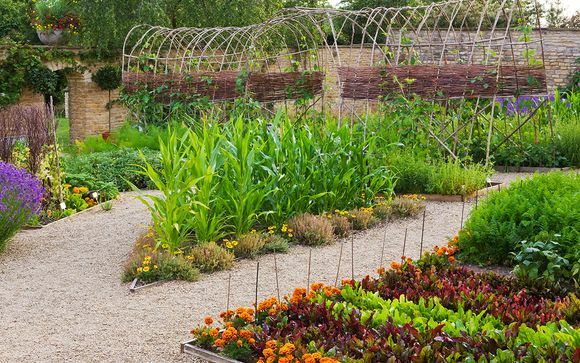 Situated on the eastern fringes of the Cotswolds, just two hours from the bustle of London, the area that surrounds the majestic 19th century manor house offers a welcome escape from the stresses of everyday life. The magnificent grounds and the hotel itself is an ideal opportunity to immerse yourself completely in tranquil countryside living; however, if you feel so inclined, there’s much to explore within driving distance. This historic town of Malmesbury is just three miles away and is one of England’s oldest boroughs, Westonbirt Arboretum is also three miles away boasting a collection of over 18,000 trees and shrubs from all over the globe, and the Roman City of Bath is a 40 minute drive away and is a must-see UNESCO World Heritage Site. ‘Utter Bliss’ says Red Online, ‘Indulgence at its finest’ says Tatler, and ‘a country house haven’ says The Telegraph. These praises are to be fully believed, as this exceptional Relais & Châteaux property is a stunningly restored 19th century manor house that is beyond beautiful. Encircled by landscaped lawns and herbaceous gardens, the five-star residence houses a private cinema, a dreamy Spa with a large hydrotherapy pool, and an acclaimed restaurant. There’s nothing more you could ask for here, so what are you waiting for? Whatley Manor is a country house haven set in rolling 12-acre grounds, with a cutting-edge spa, magnificent gardens and a terrific reputation for its food . 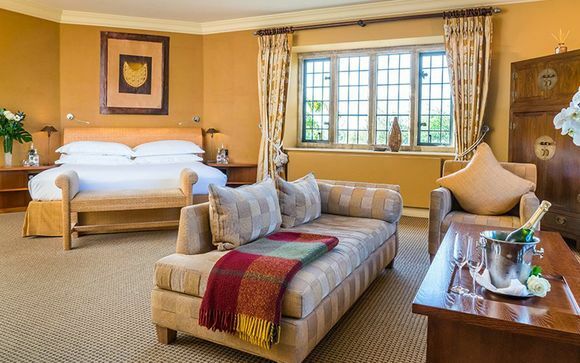 Set in the main part of the house, the three Junior Suites at Whatley Manor boast lovely views to the garden or courtyard, and one of them even has a private patio. The sound and vision is by the formidable Bang & Olufsen, the furniture fuses antique and contemporary and the art is sourced from around the world. And, for that final touch of luxury, guests can expect L’Occitane ‘in-room’ amenities. 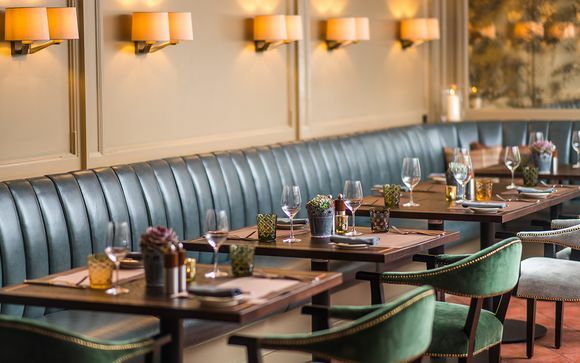 The new look at Grey's Brasserie makes it one of the most stylish in the Cotswolds. Perfect for unwinding over delicious meal with great wine. The brasserie serves lunch and dinner every day of the week and when the weather is fine, dine alfresco on the Kitchen Garden Terrace. 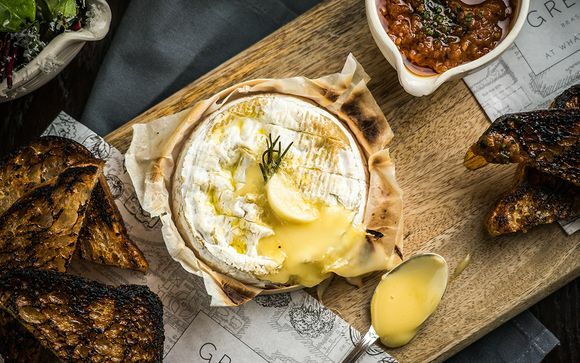 The menu hones in on mouth-watering comfort food from baked Camembert, studded with garlic & rosemary, tomato chutney, and charred loaf to glazed Ox Cheek, spiced red cabbage, parsnip & kale. The Green Room is a new addition, and a vibrant foodie hub where the chefs cook in front of you. Look out for events in this new space during your stay! Head chef Niall Keating was awarded a Michelin star in just under 12 months for his innovative style of cuisine at The Dining Room. Niall's tasting menu balances contemporary and classic styles in terms of ingredients and presentation, with some intriguing Asian influences as well. Combine this with expertly matched wines and chefs bringing dishes to the table. Each element adds to the contemporary yet elegant atmosphere. Hailed by Tatler, the Aquarias Spa offers an unforgettably unwinding experience. 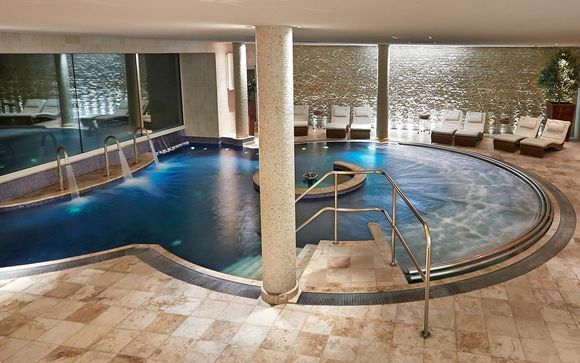 The Hydrotherapy Pool is complete with an airbed, airtub, neck massage jets and air bench, whilst the Tepidarium features heated stone recliners for ultimate relaxation. Meander through the incredible thermal cabins, the salt scrub showers and the Wave Dream Sensory Room; we wouldn't be surprised if you filled multiple days just soaking up the Spa's ridiculously relaxing ambiance. The treatments are sublime and feature renowned spa brands including face and body treatments by Natura Bissé, 'beyond organic' treatments by ila-spa, Lava Shells by Shared Beauty Secrets and natural nail care by Jessica Nails. This 19th-century bolthole is like a poem to all that is good and great about the Cotswolds. The central spa hub is country-house indulgence at its finest, complete with warmed stone slabs moulded into recliners on which to sprawl like a Roman emperor, and a hydrotherapy pool bubbling away next to green fields. It's the kind of place where a lie-in, breakfast in bed with the papers and champagne in the spa are all very much encouraged. By Rail: 1hr 15 mins from London Paddington to Chippenham or Kemble. The taxi transfer from Chippenham is 25 minutes. By Air: International airports include London Heathrow (1hr 30mins) Bristol International (1hr) and Birmingham International (2hrs).